Asheville, NC – July 28, 2017: The North Carolina State Bar Council named Asheboro attorney Bob Mason as Chair of the North Carolina State Bar Board of Legal Specialization at its regular meeting on July 28, 2017. The Board of Legal Specialization manages and governs the process of examining, certifying, recertifying and disciplining attorneys in 16 specialty areas of the law. Currently, the North Carolina Bar has slightly more than one thousand legal specialists. Although the requirements vary slightly by specialty, to become a board certified specialist an attorney must have practiced a minimum of five years in the specialty area, pass a rigorous written examination, maintain a high level of continuing education in the specialty, and be subject to peer review. “I have enjoyed my eight years involvement with the board. I spend so much time in the ‘elder law’ specialty area that it is interesting and fun to interface with other specialists, judges, and community leaders serving on the board,” says Mason. 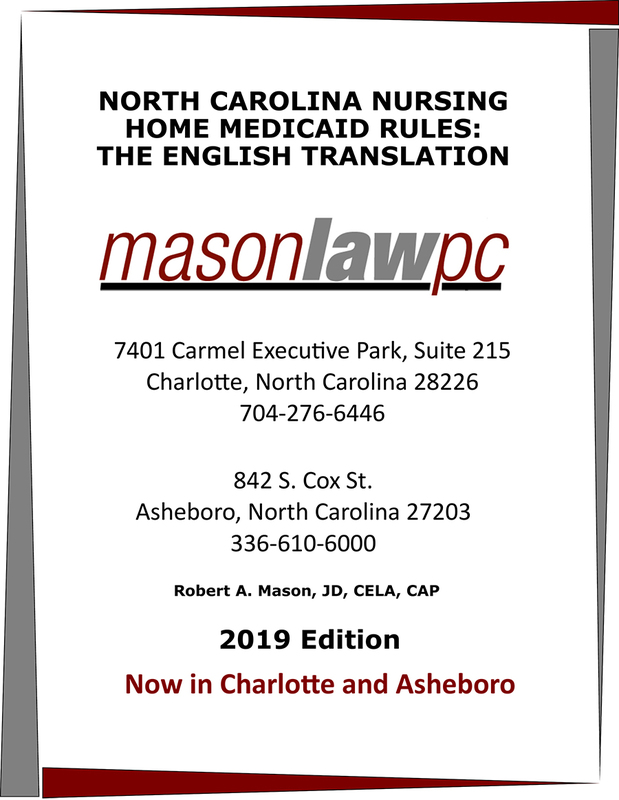 Mason is a Board Certified Specialist in Elder Law and practices in Asheboro and Charlotte. The North Carolina State bar and its one thousand legal specialists have altogether maintained respectful and appreciable standards in selecting their certified specialists. Congratulations to Bob Mason on becoming the chair of the North Carolina State Bar Board of Legal Specialization!